It’s been tough this election season, being in Canada where the action ain’t (and they’ve their own campaigns to mind). Mostly, I cry. Oh glorious day, when my absentee ballot arrived. 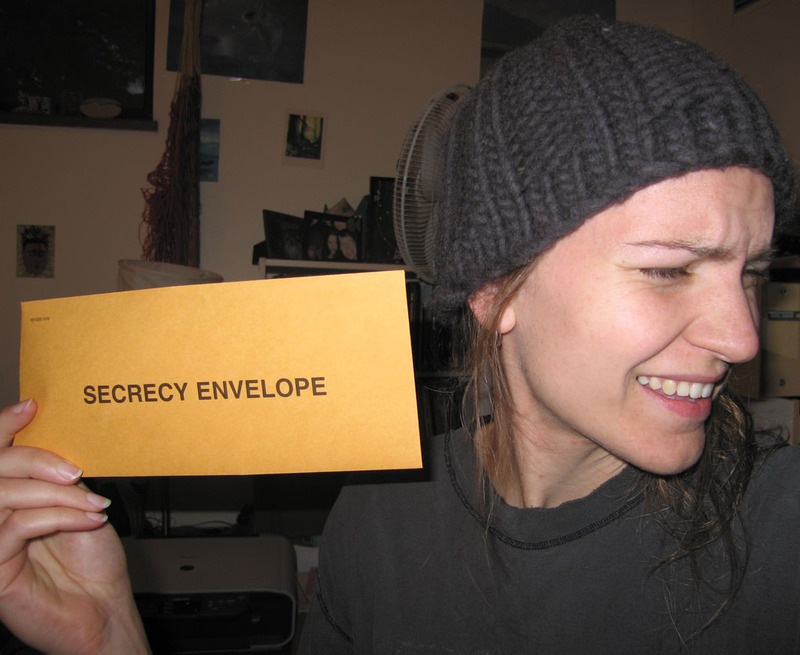 In 2006 I took a photo to commemorate my Secrecy Envelope. This year, I’ve pulled out all the stops to document my patriotic anguish and glee. Enjoy. 137 views and rising! Yay! That was really the cutest thing ever!